LEWISTON, NY (June 15, 2018) - Zoe-Beth Brake has appeared in the Women’s Porter Cup field every year it has been played. Her persistence, and her love for this charming event in Lewiston, N.Y., finally resulted in a trophy. Even better, she did it with fireworks. Brake, who is a year removed from competing for Ohio State, drained a long birdie putt on the 18th hole Friday for a 5-under 67. She by no means needed it, but it put a nice exclamation point on a three-shot victory. Brake was 8 under for 54 holes at Niagara Falls Country Club. In six years playing this event, Brake’s previous best finish was fifth place in 2016. This year, however, Brake played inspired golf. She bogeyed the first two holes of her second round and didn’t make another bogey for the duration of the tournament. "I don't even have words for it," Brake told Niagara Frontier Publications. "I'm so happy, and not even for myself, but the people here. They've always been so supportive of me and everything like that. ... It's just an amazing tournament to win." You might say Brake is more about the journey anyway. Her whole life does not revolve around golf. Brake grew up in New Zealand, and red-shirted her freshman season at Ohio State. She had already served two and a half years in the Royal New Zealand Navy before finding a place on Therese Hession’s roster. In her time as a Buckeye, Brake competed in four Big 10 conference championships. Her career included four top-10 finishes, and she was a two-time WGCA All-American Scholar. Brake’s chosen field of study? Art, which is rare for a student athlete. Despite finishing her eligibility at Ohio State, Brake remains in Ohio where she works. She plays golf when she can. Maddie Szeryk, who capped her career at Texas A&M this spring by becoming the first Aggie women’s golfer to earn first-team All-America honors in three seasons, gave an admirable chase at Niagara Falls Country Club. After opening with 5-over 77, Szeryk fired back-to-back rounds of 67 to finish at 5 under. Virginia’s Anna Redding was right behind her at 4 under, but neither player could match Brake. Having finished her eligibility at Texas A&M, Szeryk plans to spend the rest of the summer traveling with the Canadian National Team. It will help her ramp up for LPGA Qualifying School in the fall. Szeryk, of London, Ontario, would have been the second Canadian to win the event in tournament history. Canadian Brooke Henderson, now an LPGA player with six victories to her credit, won the 2014 Women’s Porter Cup. Szeryk played the NCAA Championship last month as an individual and finished tied for 17th. Her recent play shows how much she has matured as a player. 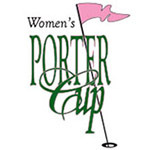 The Porter Cup, one of the premiere amateur events in the nation, now has a "sister" event - The Women's Porter Cup. 54-hole tournament with a field size of 60 has attracted the attention of top-ranked female golfers just as the Porter Cup does each year.